Earlier this year, Garmin Forerunner 935 and Fenix 5 series devices became the first consumer devices to incorporate Firstbeat’s Anaerobic Training Effect analytic capability. 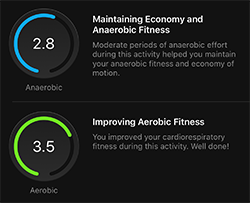 Previously available only through the professional-grade Firstbeat Sports Monitor platform, Anaerobic Training Effect feedback helps unlock the secrets of elite sports performance with a new perspective on training. Camilla Richardsson, 23, is an elite middle-distance runner. A native of Vaasa, a historic and picturesque seaside city in western Finland, Richardsson has been using the Firstbeat Sports platform to better understand and plan her training activities for the past few years. 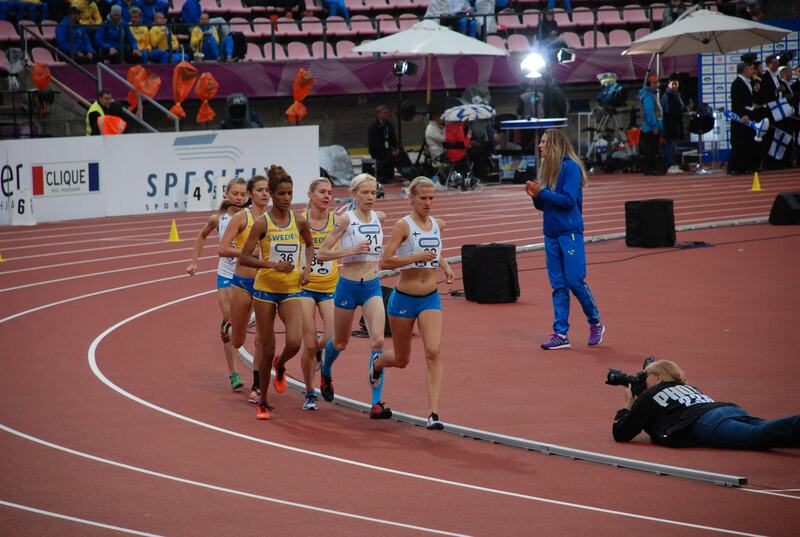 Last June, at the Josef Odlozil Memorial, in Prague, Richardsson competed in the 3000m women’s steeplechase event. Finishing in 3rd place, behind Kenyans Norah Tanui and Daisy Jepkemei, Richardsson’s time of 9:41.73 was not only a personal best, but was also met the qualifying standard for the 2017 World Championships in London. Success in middle- and long-distance running and cycling events is built on a foundation of aerobic performance capacity developed through years of regular training. This premium placed on aerobic capacity means that the development of anaerobic capacity is often overlooked, particularly outside the ranks of top racers. This means that a lot of runners are missing out on the performance and durability benefits of a well-balanced training regimen. The combination feedback provided by Firstbeat’s Aerobic and Anaerobic Training Effect calculations ensures that anyone can understand the relationship between the types of training they perform and the performance aspects developed as a result. In addition to her general running training are the special sessions Richardsson uses to target the specific performance capacities, or physical attributes that help her become a more balanced and durable athlete. 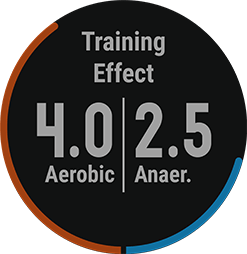 Common to many of these sessions is a focus on the types of training that become measurable with with Firstbeat’s Anaerobic Training Effect metric. These include explosive training activities like sprints and other high-intensity interval based programs. Talking about the training she does to boost anaerobic capacity, Richardsson is quick to single out her weekly Thursday training sessions. These sessions are built around a series of repeated 200m maximum efforts sprints interspersed with short recovery periods of 1-2 minutes. Her current program calls for this high-intensity performance and short recovery cycle to be repeated eight times, before moving on to the next activity. Improved running economy, or economy of motion, means being able to run faster while utilizing less energy. Needless to say, good running economy is a prized attribute amongst endurance runners. Improving it can make every step of the race a little easier, a little smoother. Other running work that Richardsson does to boost her anaerobic performance capacity includes High-intensity Interval Training (HIIT) sessions, which have become popularized among a broader audience in recent years. Weight lifting is another common method used to boost anaerobic performance capacity. Faster race times aren’t the only benefit of anaerobic training. “These more explosive type training sessions are also important for building muscle strength and developing my joints in a way that protects them and helps prevent injuries,” Richardsson explains. The combination of feedback provided by the combination of Firstbeat’s Aerobic and Anaerobic Training Effect can reveal to anyone how different types of physical activity will impact them at a physiological level. This kind of insight can be valuable to everyone, not just top international racers. Describing how even novice runners can benefit from a mix of aerobic and anaerobic training, Richardsson reveals that she was sure to include a some anaerobic work in a training plan she recently put together for her father, who was looking get in a little better shape. “When people start training to lose weight, anaerobic training is an important part of boosting your metabolism, even more so than just focusing on aerobic training activities,” she says. Richardsson represented Finland at the 2017 IAAF World Championships in London, where she competed in the 3000m Women’s Steeplechase event. Injured in the third heat, she gritted to the end of her race, finishing with a time of 10:07.04, well above her personal best. Although, she failed to qualify for this year’s final, she is resolute and eager to perform in the future. Beyond preparing for the remainder of this season, her long-term goals include adding the 5000m distance to her international competitive resume. You can follow her progress and training stories on her blog. 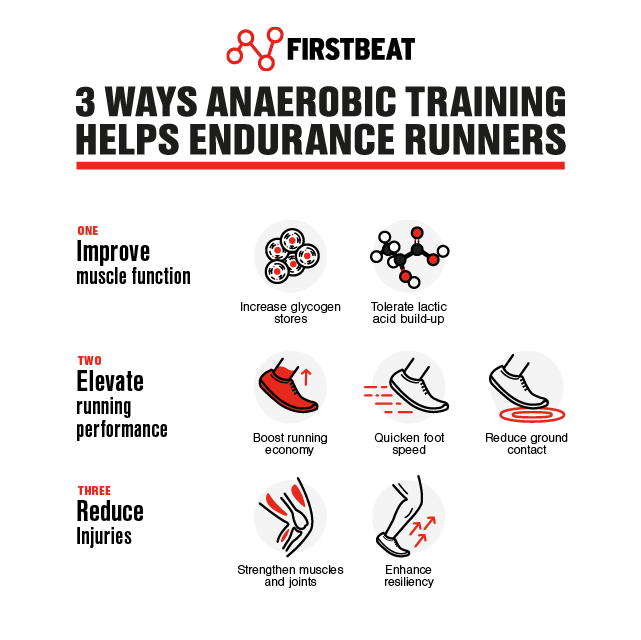 You can learn more about the science behind Firstbeat’s Anaerobic Training Effect and how it works on our feature page and white paper.